The program can record correspondence in instant messengers ICQ, MSN, AIM, Yahoo Messenger and save the contents of the mailboxes MSN, Hotmail and Yahoo, which is viewed in the browser. Real Spy Monitor only partially hides its presence in the system – you can see it in the task manager, but it does not show itself on the desktop. 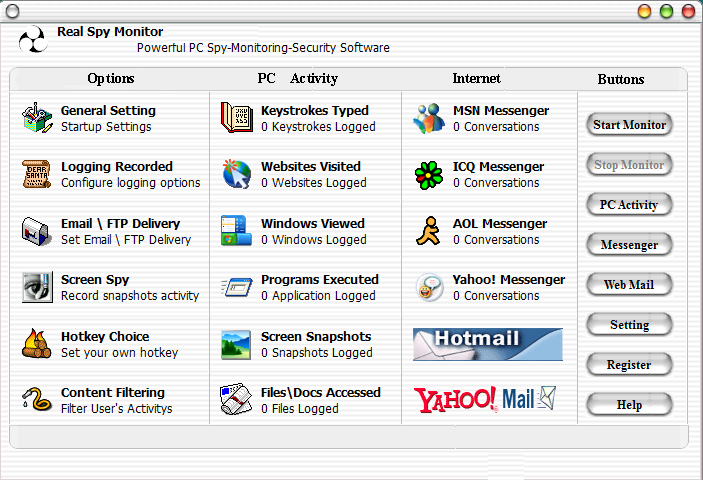 Real Spy Monitor is in the top five popular spyware in many rankings. Its functioning is ensured by the winrsm.exe process that does not hide itself and can be detected in a standard task Manager or in the “System processes” of COVERT Pro. There are a lot of tracking programs that use only the .exe file and you can be protected from them as well as from Real Spy Monitor. Logs of tracking programs that are installed on your computer will be empty if you are working inside of secure COVERT environment. On the screenshot below you can see the empty spyware logs Real Spy Monitor after our test work in the protected platform. 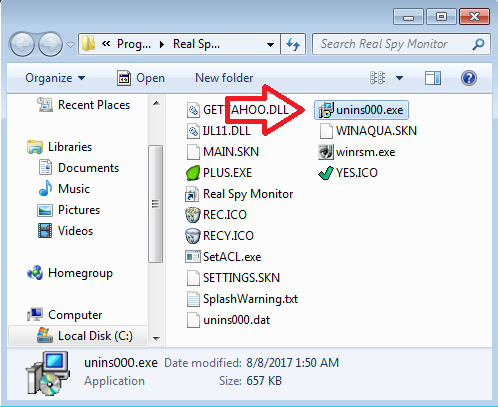 To remove Spy Real Spy Monitor, open the “System processes“, select the process with the name winrsm.exe in the list, then select the “Open the application folder” item in the context menu. Then click “End the process“. In the spyware folder, run the uninstallation file unins000.exe. This program will be removed from the computer. We rate this spyware program as RLM: 5 / 0 / 0.